Therefore the theme of the opening of the scroll sealed with seven seals by the Lamb of Revelation is a predominant feature of the Knock apparition, and the entire symbolism of this vision must be understood within this context. In my book, I argue that the opening of the scroll of the seven seals described in the Apocalypse is synonymous with the unbinding of Satan at the end of the “thousand years” described in Rev 20, and that the appearance of the Four Horsemen of the Apocalypse during the opening of the sealed book was directly related to the “wars and rumours of wars” mentioned in the Olivet discourse, which Christ said must take place before His Second Coming. So the Knock apparition appears to be intimately connected to the vision of Pope Leo XIII, wherein the Holy Father was made to understand that Satan was to be granted a period of greater power. A period which not only encompassed the turmoil of the 20th century, but which was also marked by one of the most remarkable events in Church history – the apparitions of Our Lady of Fatima and the occurrence of the Miracle of the Sun. On the exact same day of the Knock apparition, on Aug 21st, 1879, Pope Leo XIII had granted a canonical coronation of the icon at the Basilica of Our Lady of La Salette, which was solemnly performed by the Cardinal Archbishop of Paris, Joseph-Hippolyte Guibert, who acted as Papal legate. This coronation took place 33 years after the apparition of Our Lady of La Salette in 1846. 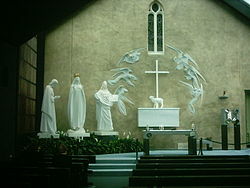 So while the icon of Our Lady of was being formally crowned at La Salette, Our Lady of Knock (who is recognized by the Irish as Queen of Ireland) appeared together with the Lamb of Revelation in order to announce the opening of the scroll sealed with seven seals. If my people will not submit, I shall be forced to let fall the arm of my Son. It is so strong, so heavy, that I can no longer withhold it. For how long a time do I suffer for you! If I would not have my Son abandon you, I am compelled to pray to him without ceasing; and as to you, you take not heed of it. However much you pray, however much you do, you will never recompense the pains I have taken for you. Six days I have given you to labor, the seventh I had kept for myself; and they will not give it to me. It is this which makes the arm of my Son so heavy. Those who drive the carts cannot swear without introducing the name of my Son. These are the two things which makes the arm of my Son so heavy. If the harvest is spoilt, it is all on your account. I gave you warning last year with the potatoes but you did not heed it. On the contrary, when you found the potatoes spoilt, you swore, you took the name of my Son in vain. They will continue to decay, so that by Christmas there will be none left. Ah, my children, do you not understand? Well, wait, I shall say it otherwise. “But you, son of man, hear what I say to you. Be not rebellious like that rebellious house; open your mouth and eat what I give you.” And when I looked, behold, a hand was stretched out to me, and behold, a scroll of a book was in it. And he spread it before me. And it had writing on the front and on the back, and there were written on it words of lamentation and mourning and woe. 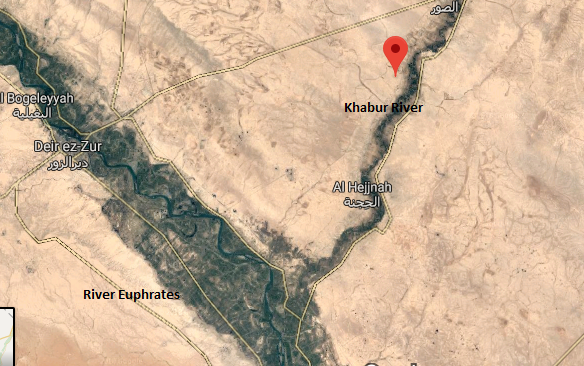 The Chebar Canal is a location found along the River Euphrates, where Ezekiel was granted his vision of the Four Living Creatures in Ezek 1 – the four cherubim who restrain the appearance of the Four Horsemen of the Apocalypse until the opening of the seven seals. 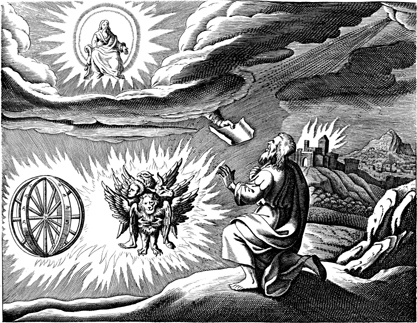 We are told that the four angels bound at the Euphrates are released after the appearance of the other signs which herald the unbinding of Satan at the end of the “thousand years” – the star falling to earth with the keys to the abyss and the rise of the apocalyptic locusts (which I argue refers to the Tunguska event and the invention of military airplanes). The Prophet Ezekiel was shown a vision of the Four Living creatures who restrain these fallen angelic beings at the Chebar Canal, which has been idenfied with the Khabur River in modern Syria - one of the largest tributaries to the River Euphrates. The exact spot where the Khabur River flows into the Euphrates lies at the site of Deir ez-Zor, which was the major concentration camp used by the Turkish government during the Armenian Genocide, which began in 1915. 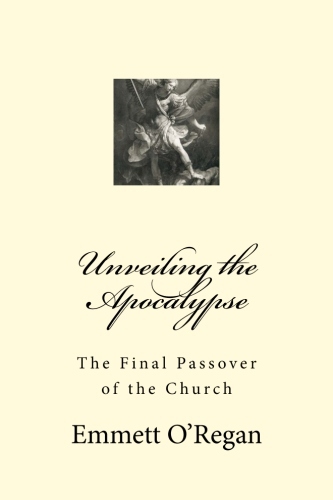 As I detail in Unveiling the Apocalypse: The Final Passover of the Church, it was the Armenian Genocide that the provided the Nazis with the template for perpetrating the Jewish Holocaust, when a third of the world's total Jewish population was exterminated by Nazi Germany. Another link between the Jewish Holocaust and the appearance of Our Lady at Knock can be found in the fact that the apparitions took place at around the same time of the discovery and subsequent excavation of the Pergamon Altar in 1879 – which is the “throne of Satan” described in Rev 2:12-13. The Pergamon Altar was first erected in Berlin at the turn of the century, in 1900 – at the very beginning of the period of Satan’s greater power. It thus seems to be of great significance that the upcoming total solar eclipse that will traverse America later this year takes place on the feast day of Our Lady of Knock, on 21st August, 2017. As I attempt to elaborate in the previous post, The Sign of Jonah and the Binding of Satan, another of the signs which heralded the beginning of the short time of Satan occurred on the feast day of Our Lady of Knock. The path of totality of the solar eclipse of 21st August, 1914 made its way across war-torn eastern Europe before crossing the site of ancient Nineveh. This was especially significant in the fact that there is evidence to suggest that the original “sign of Jonah” took the form of the Bur Sagale eclipse over Nineveh in 763BC, and that Christ had made His prophecy about the sign of Jonah in the immediate context of the binding of Satan. The proximity of the August 21st solar eclipse in relation to the so-called “Rev 12 sign” that will take place later this year on 23rd September, 2017, gives us pause for thought. This date marks the culmination of an astronomical event which began on 20th November 20, 2016, when Jupiter (the King planet) entered into the body of the constellation Virgo. This date, which commemorated the feast of Christ the King, also saw the Polish Church and government officially proclaim Christ as King of Poland at the end of the Year of Mercy, styled after the canonical coronation of the Black Madonna of Częstochowa as Queen of Poland. Due its retrograde motion, Jupiter will spend 9 ½ months within the “womb” of Virgo, until 23rd September, after which it will then be “birthed” by exiting with the Sun rising directly behind the constellation Virgo, with the Moon laying at its feet and a crown of twelve stars (the nine stars of the constellation Leo together with the planets Mercury, Venus and Mars). It appears that the Ninevites only believed in Jonah’s prophecy of doom after the appearance of the Bur Sagale Eclipse. So, it will be interesting to see if anything happens around the time of the 21st August solar eclipse to act as a call to repentance for America. It is worth pointing out that exactly 40 days after the date of 21st August brings us up to the Feast of St. Michael the Archangel on 29th September, 2017, which coincides this year with the Jewish feast of Yom Kippur – the Day of Atonement. According to Jewish tradition, Yom Kippur is the date when the verdict of judgement against a person is sealed at the close of the year, after the opening of the Book of Life takes place at the beginning of the year, on Rosh Hashanah. So not only does the feast of Yom Kippur occur exactly 40 days after the “sign of Jonah” eclipse on 21st August, 2017, but it also occurs on the Feast of St. Michael – the angel with the flaming sword seen in the Third Secret of Fatima. Could something of prophetic importance transpire around these dates just before the centenary of the Miracle of the Sun on 13th October, 2017? It is tempting to think so, given the apparent sensus fidelium that appears to have been arrived at concerning the significance of the centenary of the apparitions of Our Lady of Fatima. Especially when we take the various other accompanying “signs” that appear to be settling around these dates. I would like to draw your attention to Stephen Walford's excellent new book Communion of Saints: The Unity of Divine Love in the Mystical Body of Christ. This book is about eschatology in the truest sense of the word, in that it primarily focuses on the de novissimis - the four last things of death, judgment, Heaven and Hell. 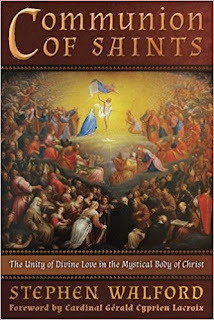 Walford is a gifted and erudite author, and his latest work on the mystical nature of the Church is quite beautifully written. The fact that Walford's Communion of Saints draws not only on the writings of the popes, but also various saints and doctors of the Church, makes this book an invaluable resource for anyone interested in the subjects of ecclesiology and eschatology. The Antichrist's deception already begins to take shape in the world every time the claim is made to realize within history that messianic hope which can only be realized beyond history through the eschatological judgement. The Church has rejected even modified forms of this falsification of the kingdom to come under the name of millenarianism, especially the "intrinsically perverse" political form of a secular messianism (CCC 676). Stephen Walford's book is a great gift to the Church in this time of confusion, and the fact that he boldly throws down the gauntlet to this modern heresy deserves high praise indeed. Also worth noting is that all proceeds of Communion of Saints goes to Aid to the Church in Need for the persecuted Christians of the Middle East.